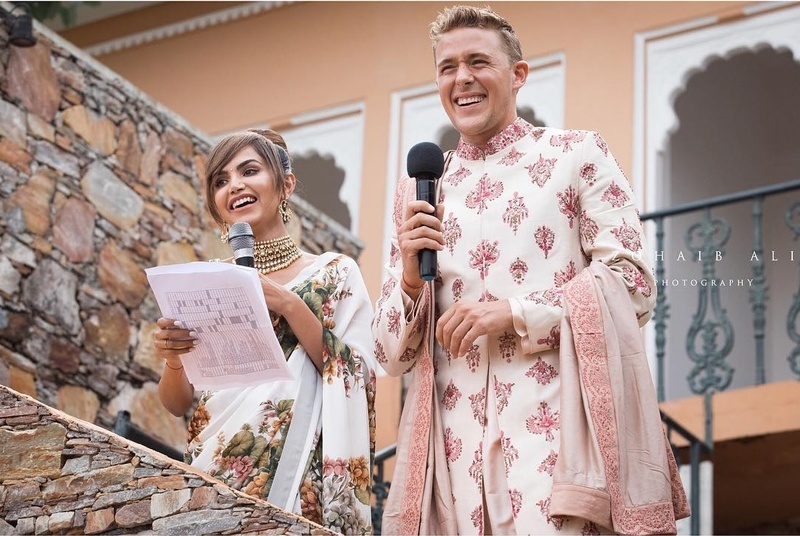 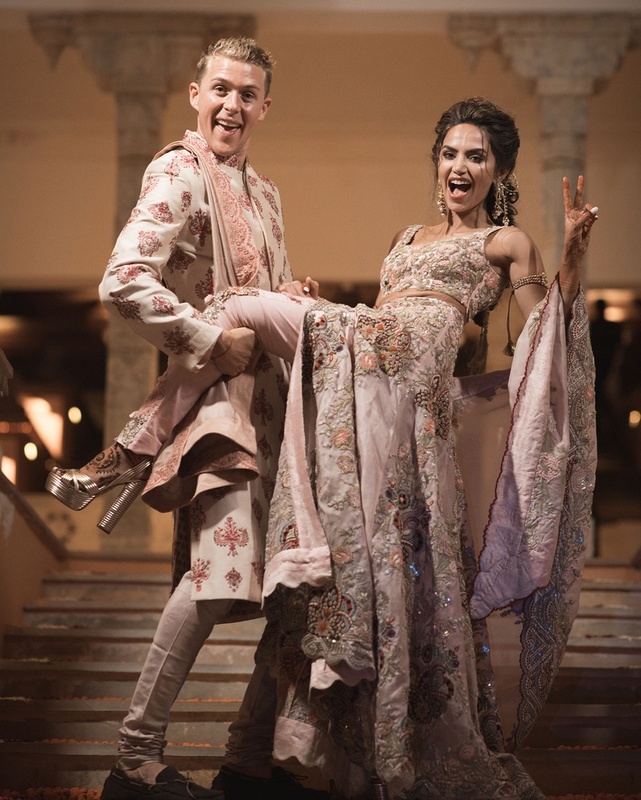 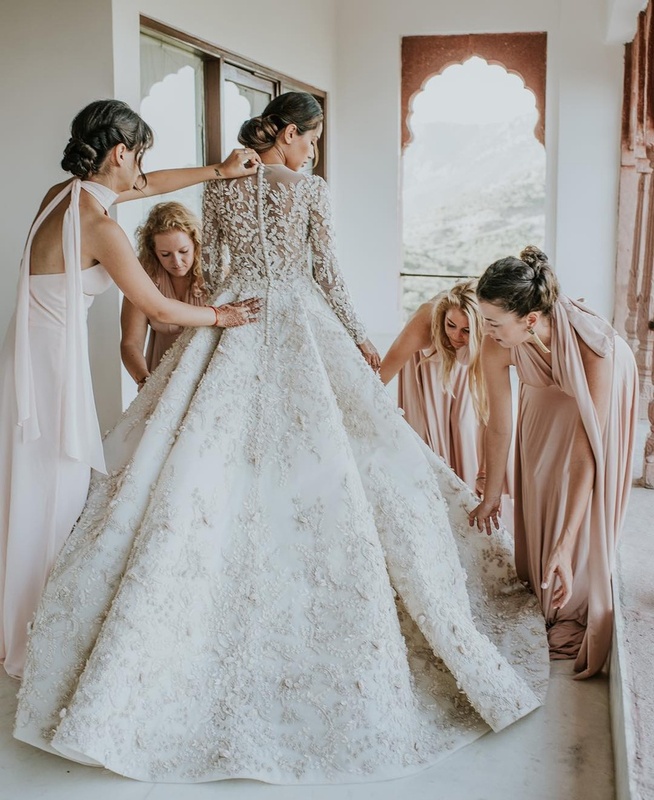 The gorgeous, the glamourous, the instagram sensation - Diipa Khosla recently tied the nuptial knot with her longtime boyfriend Oleg Buller in a wedding that was no less than a dream! 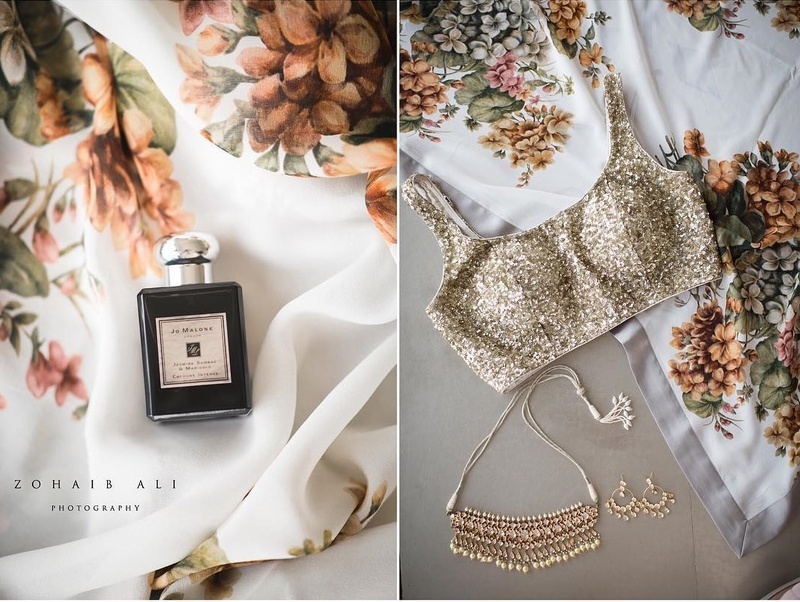 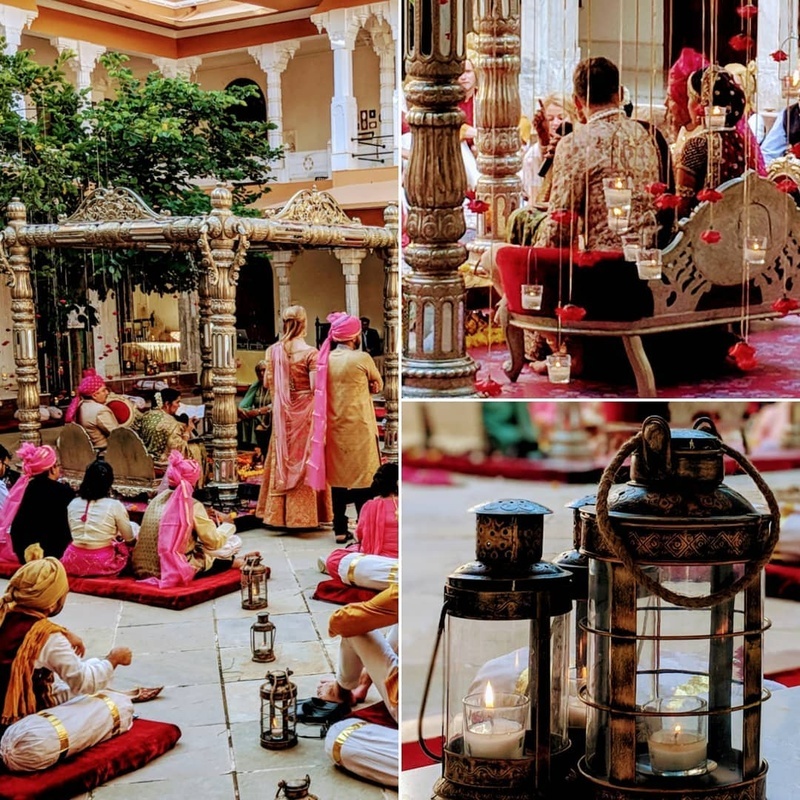 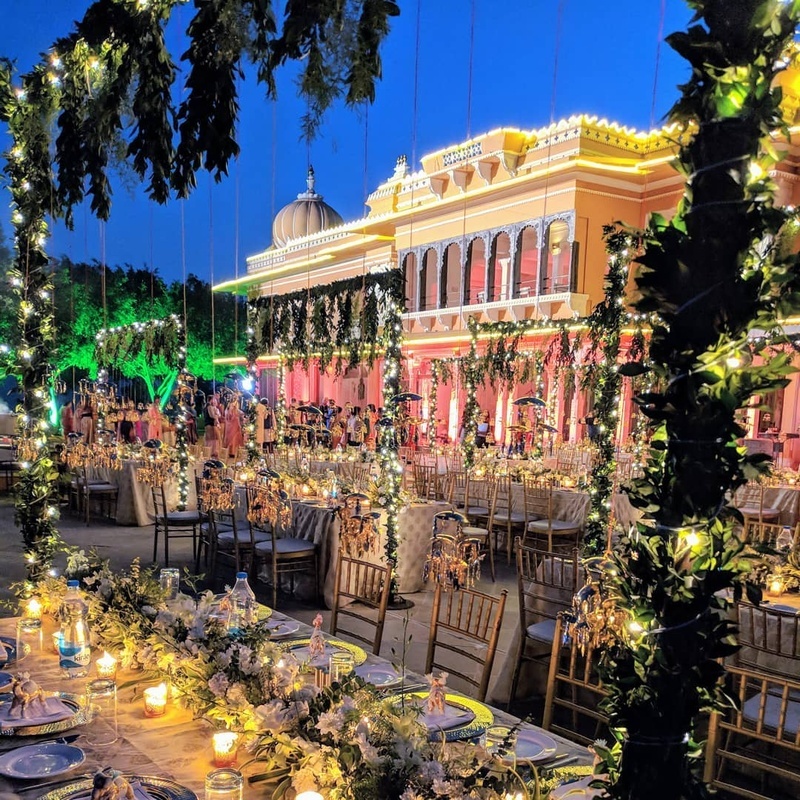 #thebullslas (their wedding hashtag) had everything that a girl could ever dream of - a heavenly setting in the Heritage Resort, Fatehgarh, glam outfits falling right out of a fairytale and stunning wedding pictures that shout out Love! 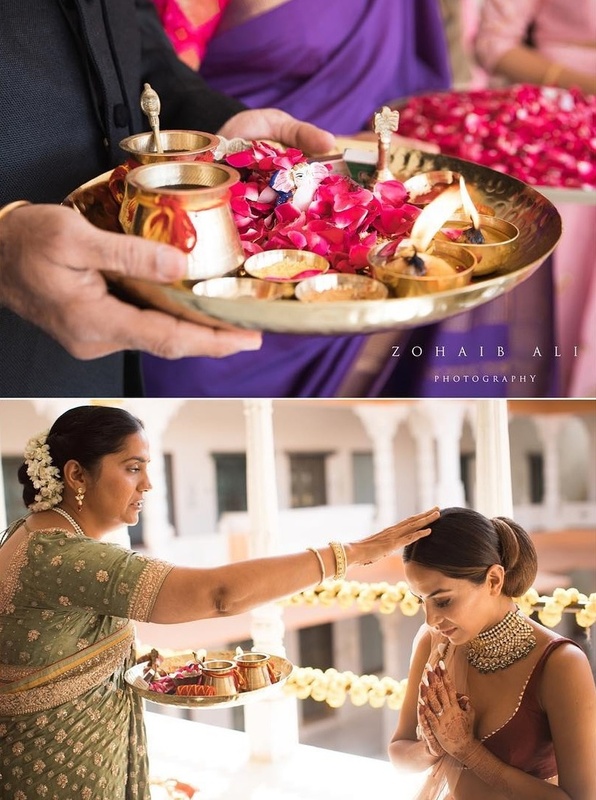 Their official photographer Zohaib Ali did a phenomenal job and restored our faith in the beauty of love! 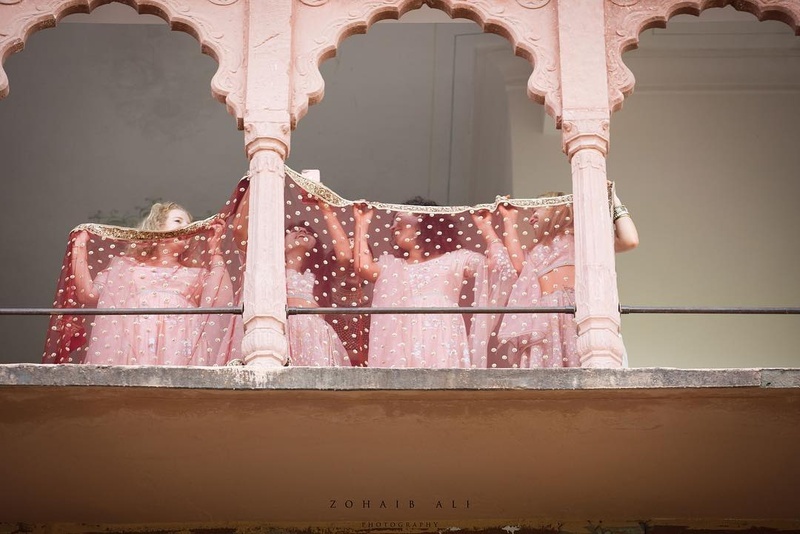 Their mehndi was an absolutely lovely affair where the bride stunned the crowd in her floral Sabyasachi saree. 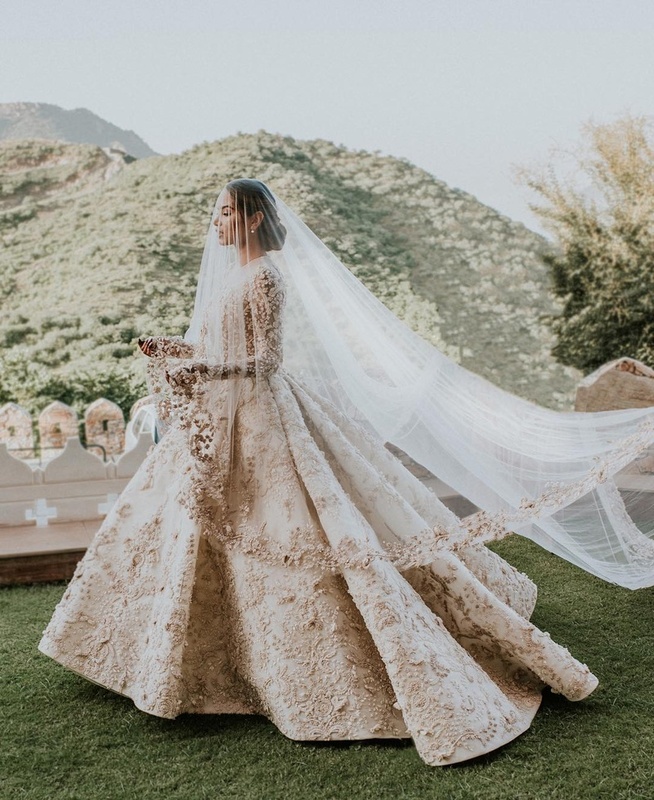 She opted for a minimal makeup look, done by MAC Cosmetics UK and Nisha Sirpal Makeup and truly stole our hearts. 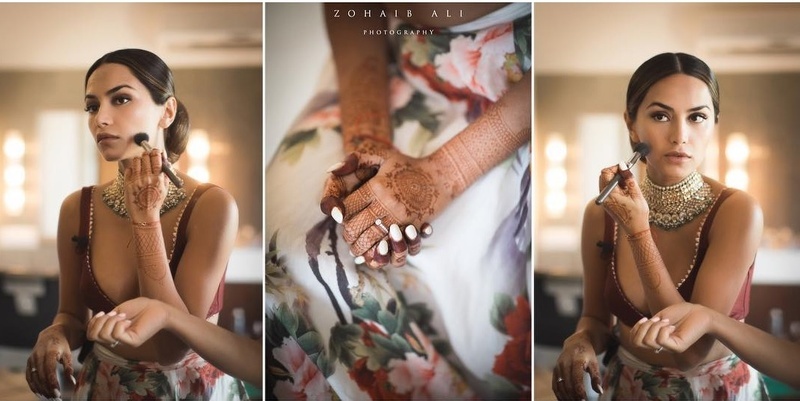 Her light jewellery from Amrapalli Jewelleries and a cute retro hairdo by Aveda and Aamir Naveed perfectly complemented her mehndi look! 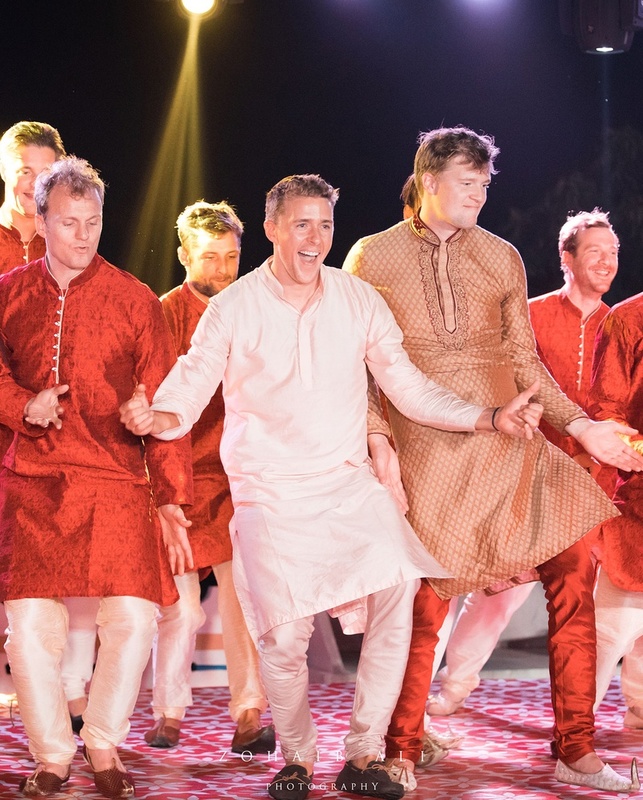 Our firang groom on the other hand wore a subtle off white kurta chosen from Varun Bahl couture! 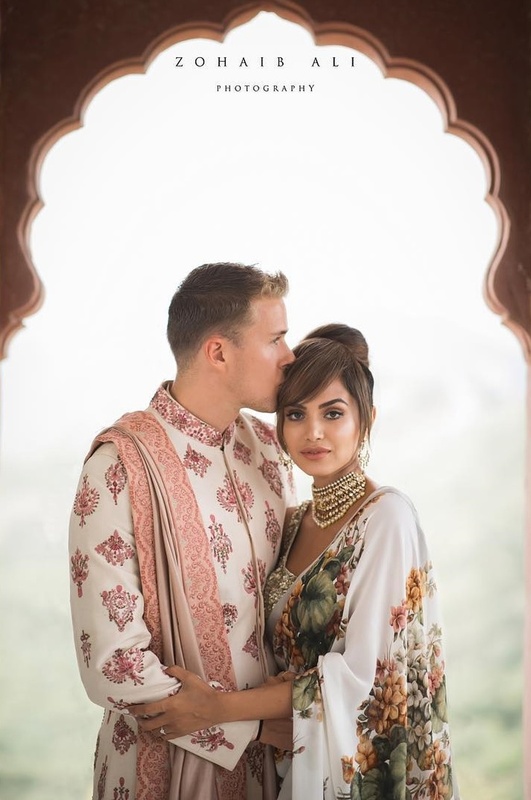 We are so not able to get over these cuties! 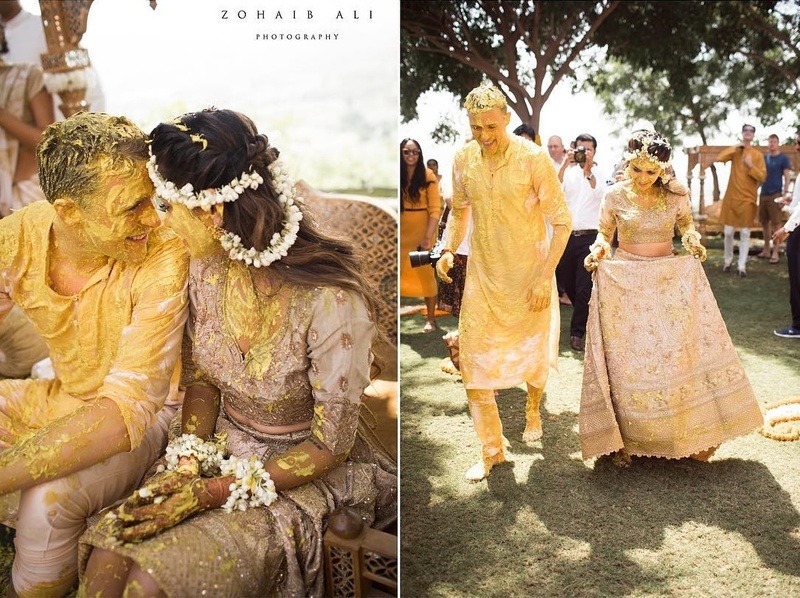 Following the mehndi was the Haldi function that again took the internet by storm! 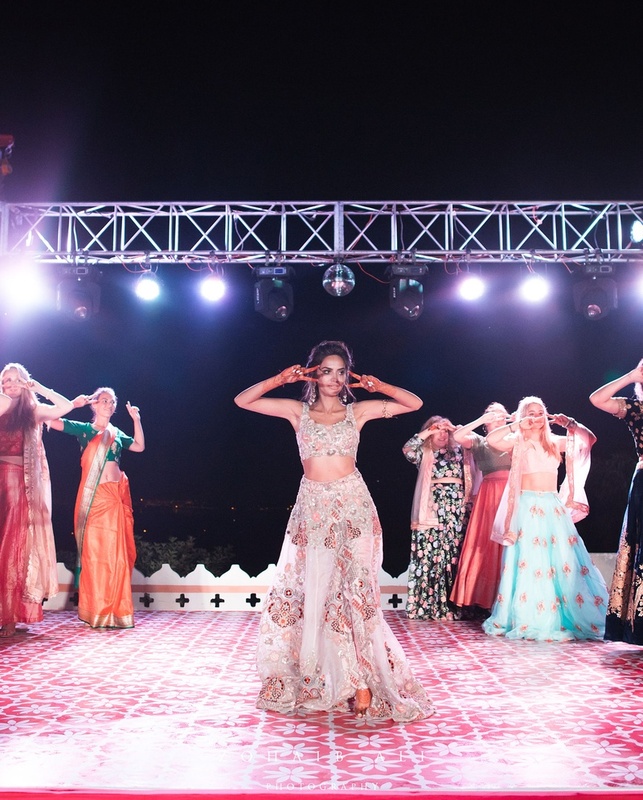 The bride chose a beautiful golden lehenga from the house of Ritu Kumar and looked ravishing! 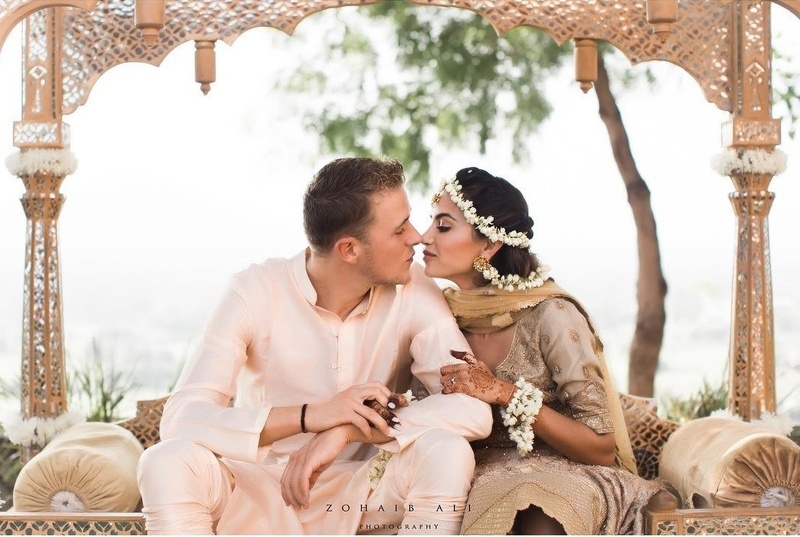 The open hairstyle with beautiful arrangement of gajra in it looked spectacular on the blogger bride! 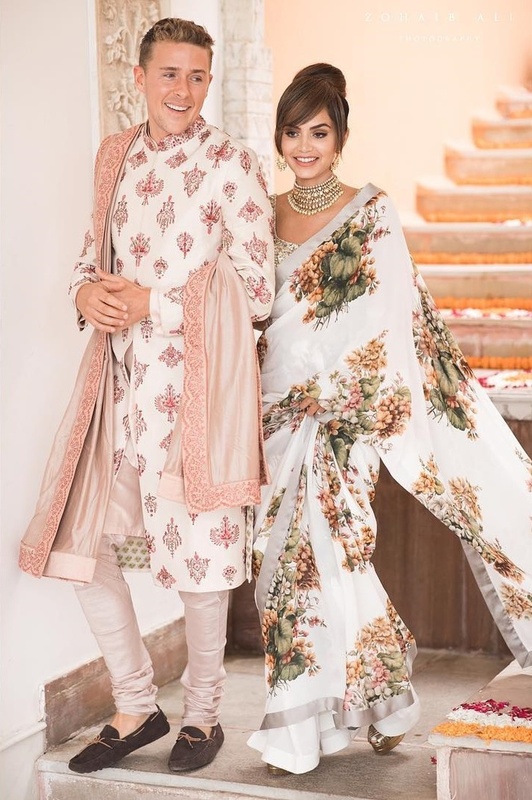 Stunning as she is, Diipa entered her sangeet ceremony in a custom made outfit by Anamika Khanna while the groom again opted for a sherwani from Varun Bahl couture collection! 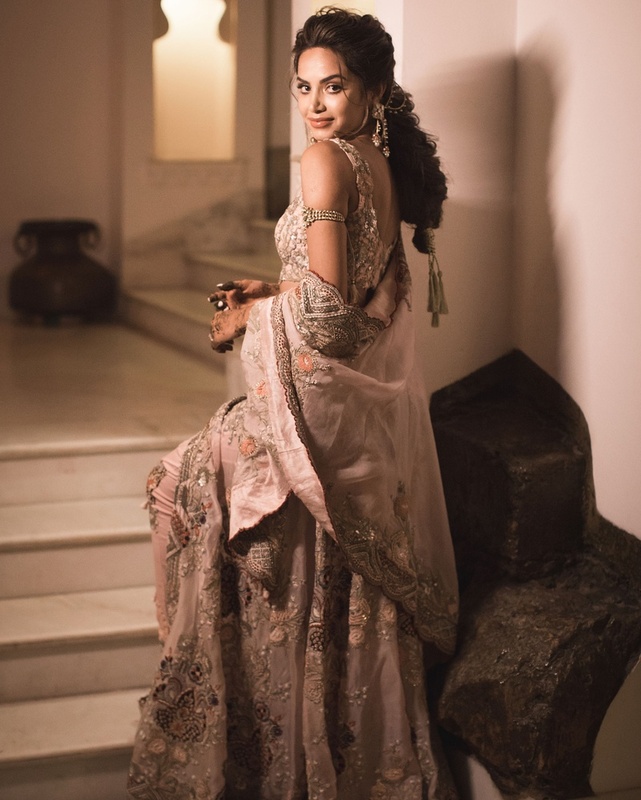 Diipa again went for an open-hair hairstyle and looked like a true Diva! 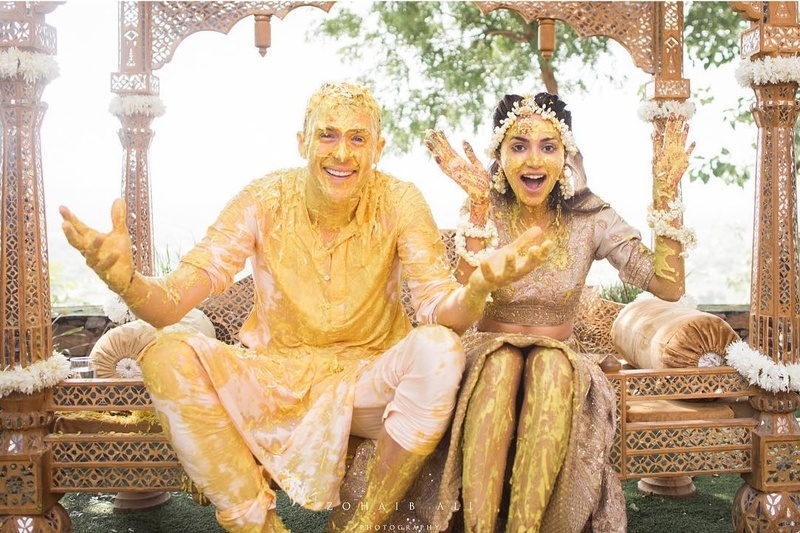 Their fun wedding pictures of this ceremony will definitely give you some inspiration for getting yours clicked! 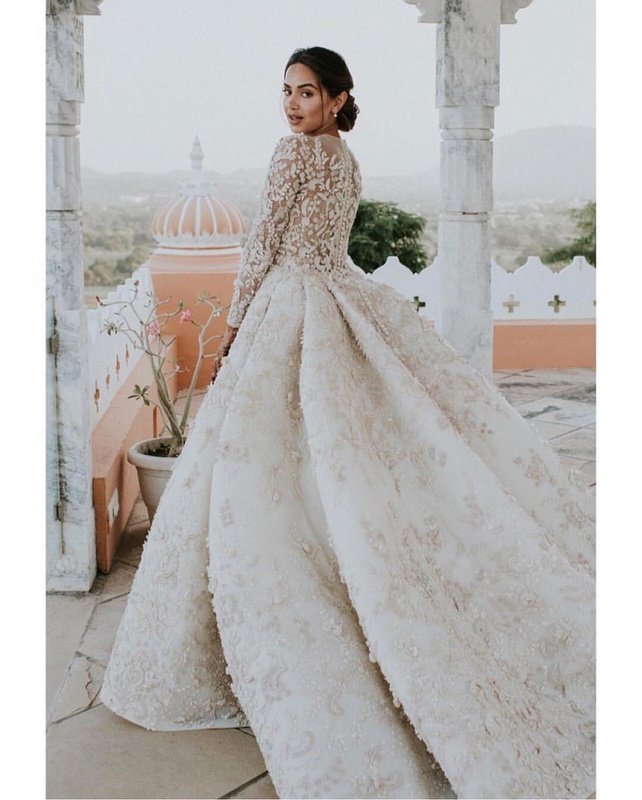 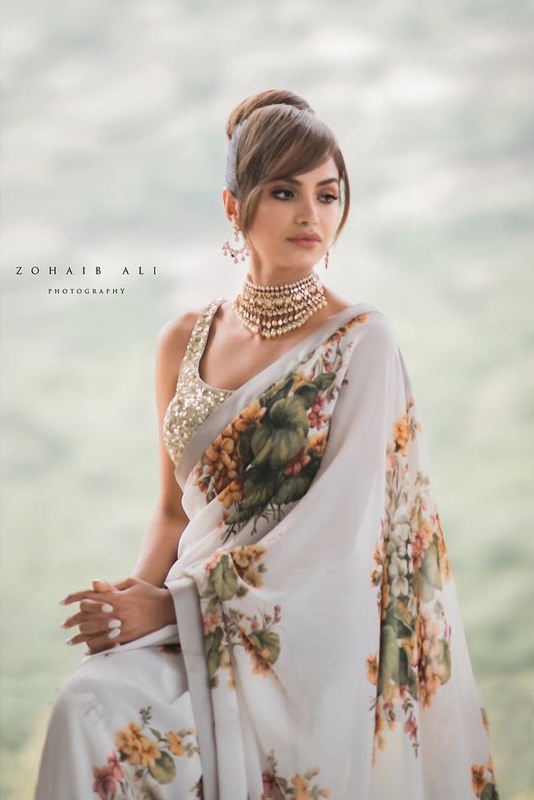 Diipa got a custom made outfit from Ashi studio who left no stone unturned in creating a glam wedding outfit that complemented her divine beauty. 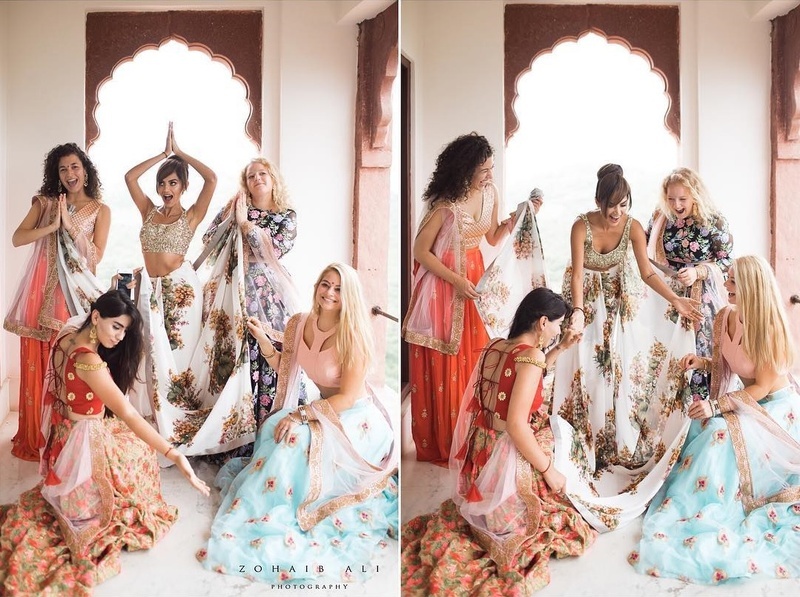 The ethereal outfit is more of an art-piece than just a gown! 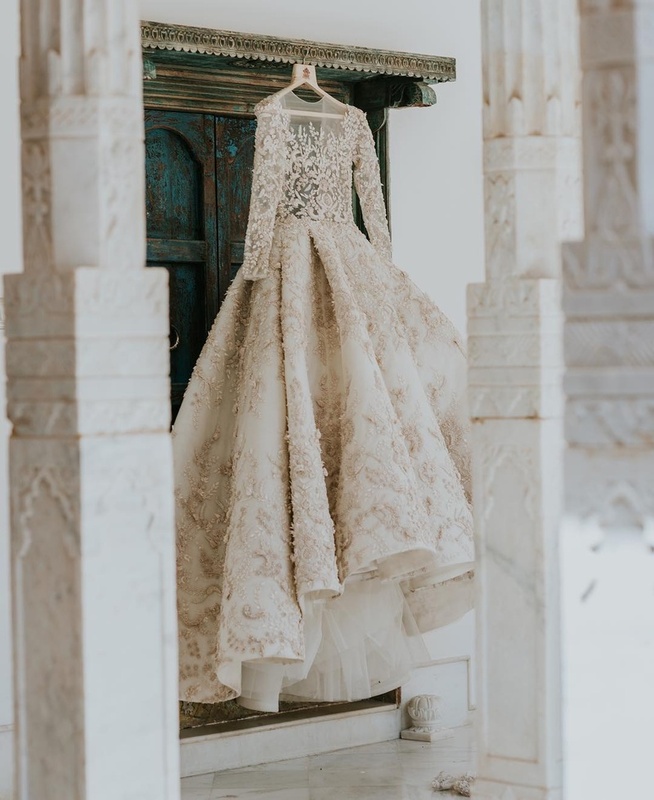 Diipa wanted a wedding gown that had a hint of indian tradition to it and so the intricate embroidery was dedicated to the legacy of Indian culture! 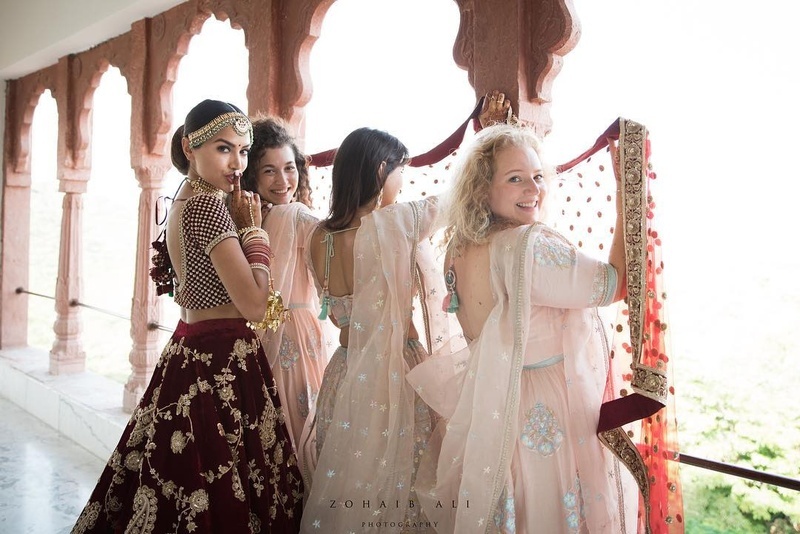 The bride went for a gorgeous maroon lehenga from Sabyasachi’s bridal ensemble and looked her gorgeous self! 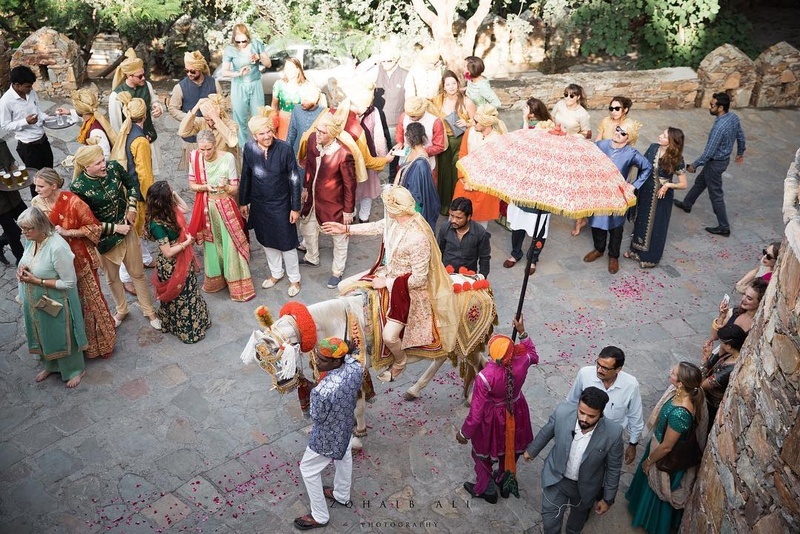 The groom, like a true Indian prince charming, came to marry the bride on a white horse with a floral sehra on top. 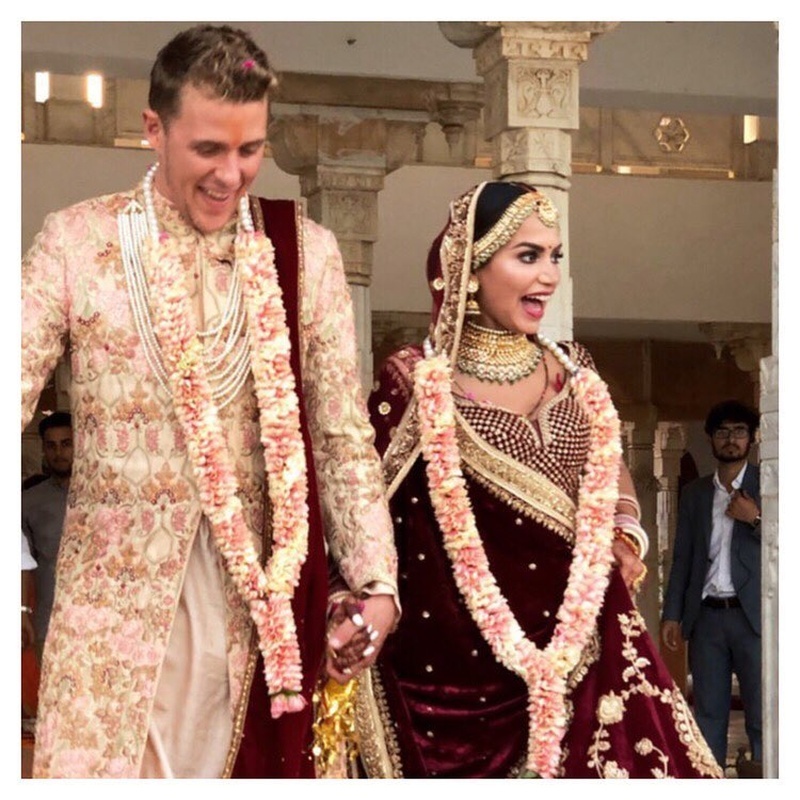 The wedding was as beautiful as the couple and we wish this gorgeous duo a lifetime of happiness ahead!